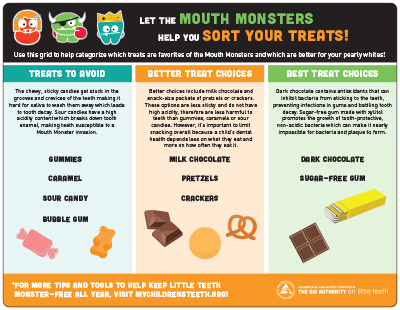 CHICAGO, October 18, 2017 – As the year’s second most popular holiday quickly approaches, the American Academy of Pediatric Dentistry (AAPD), the leading authority on children’s oral health, is urging parents and caregivers to be aware of the treats their children consume on October 31st and throughout the Halloween season. 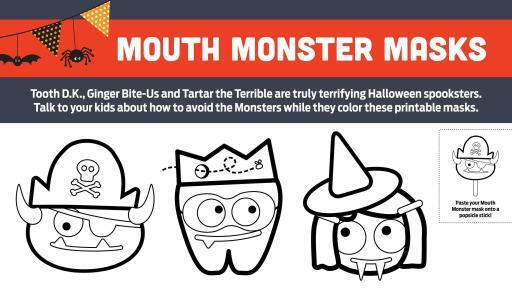 Don't be tricked, choosing the right treats may help your children steer clear of the Mouth Monsters (also known as tooth decay)—Ginger Bite-Us, Tartar the Terrible and Tooth D.K. 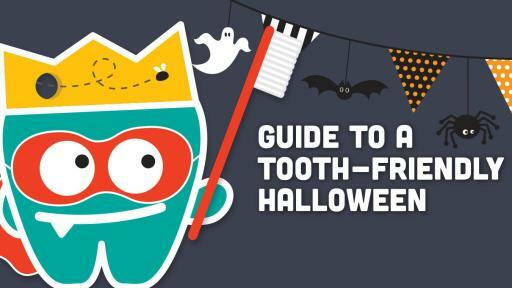 Dark chocolates and sugar-free gum are better for the teeth compared to gummies, caramel, sour candy or bubble gum, because they are less likely to get stuck in the grooves and crevices of the teeth. If chocolate is the treat of choice, steer your kids towards dark chocolate which contains antioxidants that can stop bacteria from sticking to teeth, helping to fight gum infections and tooth decay. First, moderation is the primary goal. Treats are called treats for a reason. They should not be consumed on a daily basis. 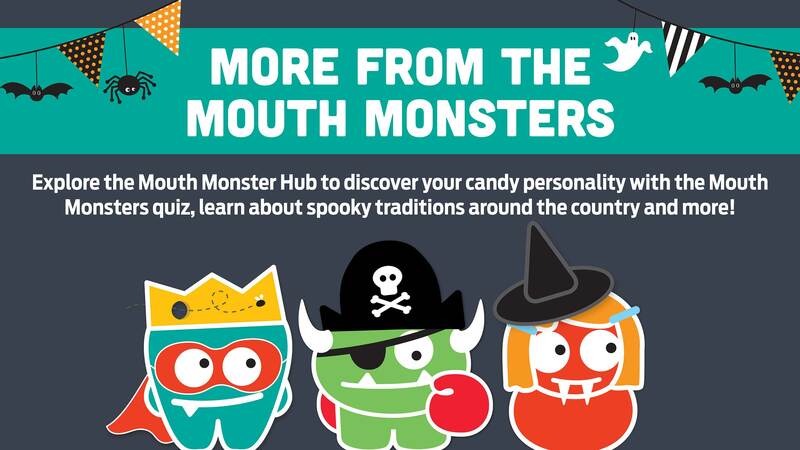 Second, treats that are not sticky or quickly leave the mouth (i.e., chocolates) are more tooth-friendly. 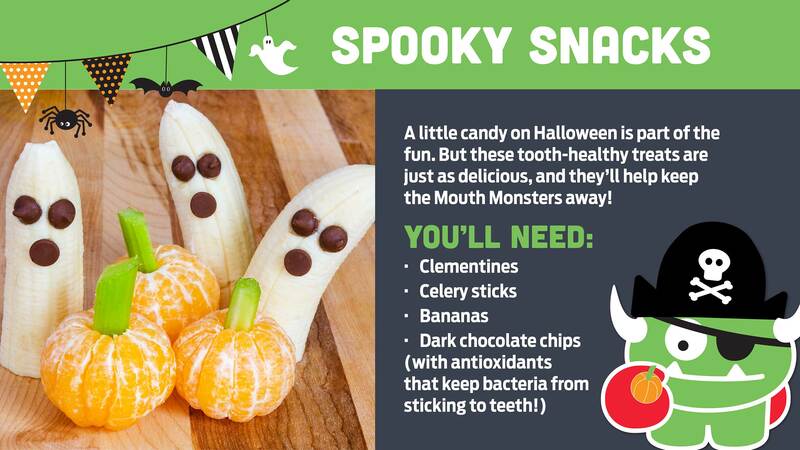 Treats that are sticky (i.e., caramels, fruit snacks) are more likely to stay attached to the teeth and provide fuel to the harmful bacteria in your child’s mouth. Screen the Halloween treats that your child collects and help them make more tooth-healthy choices to keep. 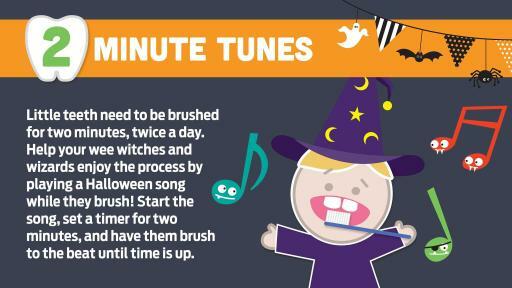 Allow your child to eat the screened treats after returning from trick-or-treating and then send the remaining candy to the “Halloween Fairy” to remove the candy from the house. 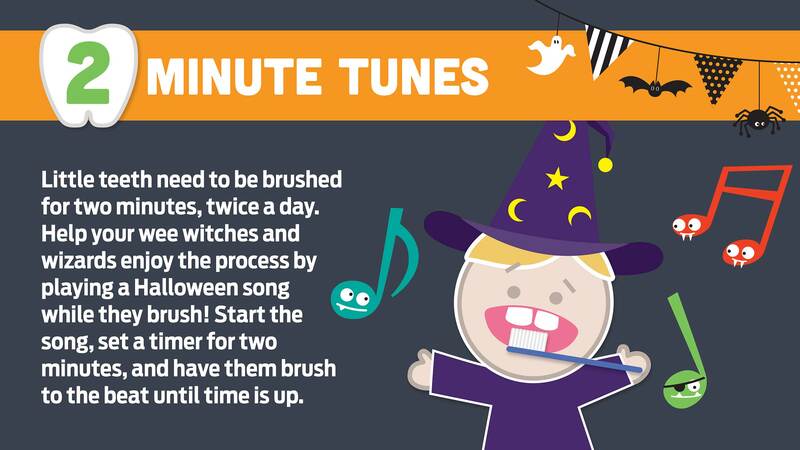 Make sure that you brush your child’s teeth after eating their treats and before they head to bed. 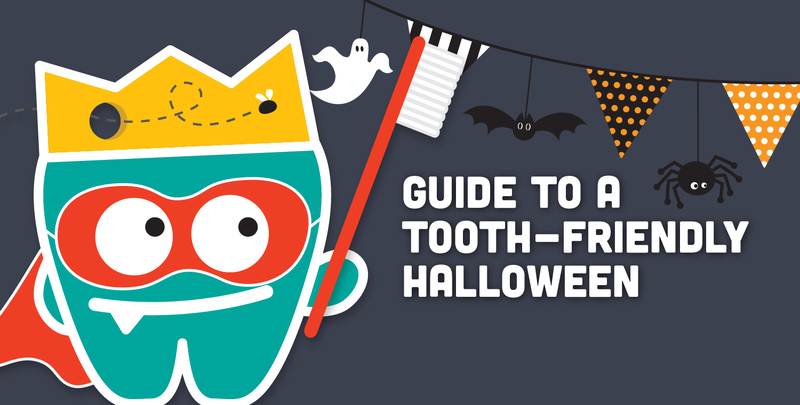 Suggested tooth-healthy treats include microwave popcorn and cheese sticks. Remember, non-candy options like stickers, pencils and small trinkets like temporary tattoos and glow-sticks are great alternatives. 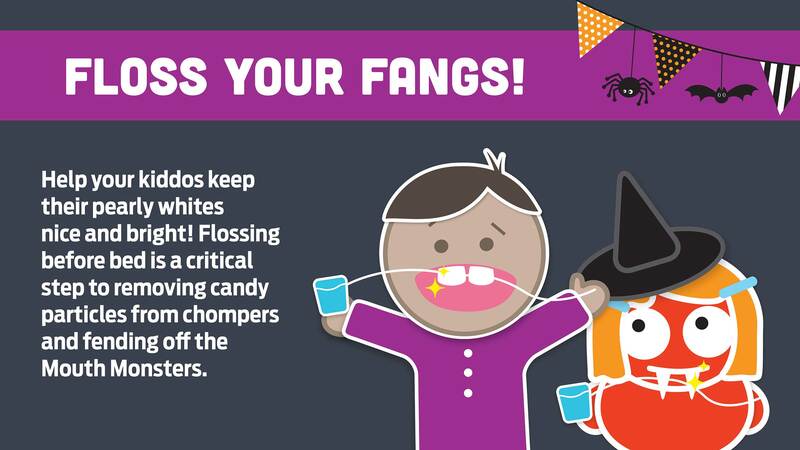 The American Academy of Pediatric Dentistry (AAPD) is the recognized authority on children's oral health. As advocates for children's oral health, the AAPD promotes evidence-based policies and clinical guidelines; educates and informs policymakers, parents and guardians, and other health care professionals; fosters research; and provides continuing professional education for pediatric dentists and general dentists who treat children. Founded in 1947, the AAPD is a not-for-profit professional membership association representing the specialty of pediatric dentistry. Its 10,000 members provide primary care and comprehensive dental specialty treatments for infants, children, adolescents and individuals with special health care needs. 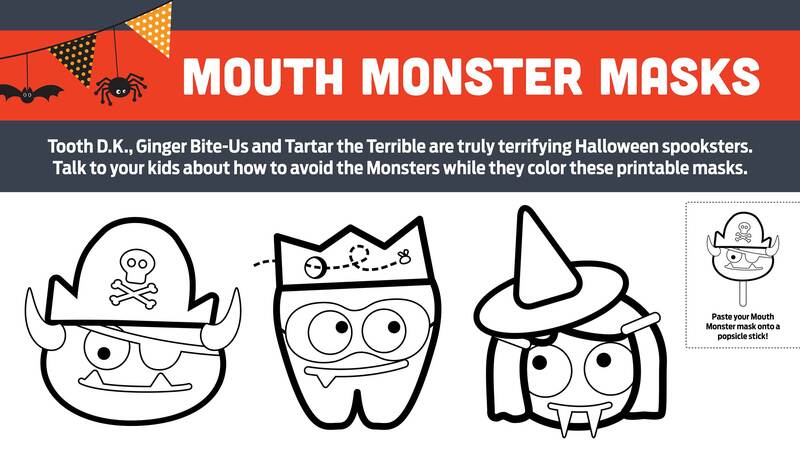 My Children's Teeth MouthMonsters Download and Color Your Own Monster Mask!